This is not a review. 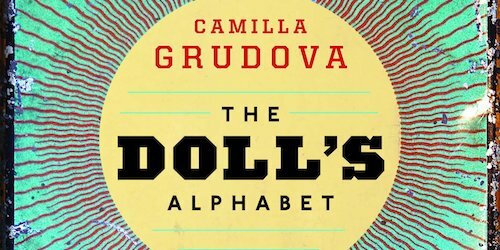 It’s a disorienting experience to read something as strange as Camilla Grudova’s THE DOLL’S ALPHABET (Coffee House Press, 2017). The stories themselves read, at times, as though they are translations from some other language, from some other country that is unstuck in time. Folkloric, fable-like, mixing bizarre imagery in unexpected ways, these tales are also at times grotesque and repellant. On top of this, they all seem to share a single world—not where character or locations are concerned (at least, as far as I could tell) but instead in terms of items and environments. Reoccurring devices, scents, foods. Many characters’ lives are more than a few steps below poverty, vermin of all sorts reappear time and time again. There is a vein of body horror through her work, as well, though not in the manner one might expect, and even still it’s all filtered through a narrative style that intentionally unsettles. I’m at a loss how to adequately describe this book in a way that gets across how unique it is. Which is perhaps the greatest thing one can hope for from a book by an author one is unfamiliar with. For those of us who prefer our dark short fiction collections to be pieces of art that achieve something more, something greater overall than its single stories might initially indicate, I can’t imagine a better book to recommend.